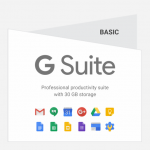 Buy G Suite Basic – Google Apps for work is a cloud-based productivity suite by Google that helps you and your team connect, collaborate and get work done from anywhere on any device. Send professional email from your domain (you@yourcompany.com) and create mailing lists like sales@yourcompany.com. Get Gmail, Docs, Drive, Hangout, Sheets and Calendar for business. It’s really simple to setup, use and manage, allowing you to work smartly. Buy G Suite Basic & start sending professional email from your domain (you@yourcompany.com) and create mailing lists like sales@yourcompany.com. Get Gmail, Docs, Drive, Hangout, Sheets and Calendar for business. It’s really simple to setup, use and manage, allowing you to work smartly. Gmail : Email with Google-powered search, up to 30 GB of storage, offline support, custom email addresses, and much more. Calendar : Easily schedule meetings at times that work for everyone, get meeting reminders, and share calendars. Drive : Google Drive allows you to share & store your files effortlessly in the cloud and have access to them from anywhere. Docs : Create, share and work on documents with your whole team in real-time. Sheets : Build, Edit & Manage spreadsheet data online with click-to-edit charts and discussion style comments. Slides : Create presentations together, embed videos, and never press save again. Hangout : Connect anywhere anytime whether in the office or at home through audio and video meetings with 25 people at a time. Note : This price is available only for Indian Customers. Great Service ! Recommended !! I highly recommend G Suite Google Apps for Work for any small business (or any sized business really). 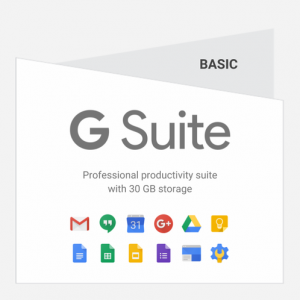 The only thing I would have is be sure to map out how G Suite – google apps for work use will impact users’ Android systems and use of Google Apps on Android. G Suite Business Email Hosting solution has been a tremendous help to my small business. The prices for services are a great value, and include a wide array of versatile and useful applications for both technology products and content management products. G Suite Business email is an entire platform which you can use from your laptop, desktop, phone, tablet, chromebook or any other device. I like the integration with G Suite. It’s all integrated: MAILBOX email, G Drive (file storage and sharing), Docs (Word), Sheets (Excel), drawing tools, etc. etc. Wroffy Helped us setting up the cloud email solutions for our company and suggested us to use G Suite – Google apps for work. There are a lot of powerful ‘web apps’ built in to G Suite. First of all thanks to Wroffy technologies for helping us for suggesting the best email hosting solution G Suite. The Cloud email hosting platform has a lot of potential for those who know how to use it. Generally we make the most of google drive as a digital repository. Hangouts is an excellent communication tool which comes with G Suite business email solution by google which is extremely easy to use. It’s as easy to use as a gmail. 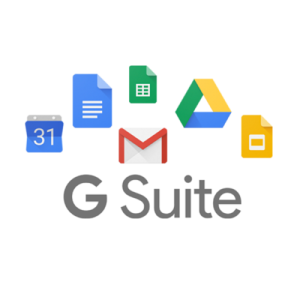 Google apps for work offers: Gmail 30 Gb mailbox, Hangouts, Calendar, Drive, Docs, Sheets, Slides, Groups. G Suite is the cloud platform that has all the communication solutions require in a small medium business for a serious and demanding work environment. The implementation and adaptation of google apps for business in my office in Kolkata was extremely easy, Wroffy technician implemented through remote control in 15 minutes only. Wroffy’s customer service is excellent. you can count on your technical team, they are there to help. Do not hesitate to integrate google apps for business into your work routine. It will make life easier for you as you have no idea. I sincerely believe that Google email solution G Suite has adapted very well to the needs of my office. Complete seamless office productivity and collaboration tool. G Suite for business email solution provides an excellent office productivity and collaboration platform for small office to large offices. Three of the best features of G Suite cloud email are its seamless workflow, unlimited storage which comes in Business & Enterprise editions only, and its marketplace of available apps/integrations. we buy G Suite for business app from Wroffy technologies which is the best email hosting provider in India. G Suite makes it easy to work between apps and keep your work saved. Even Multiple users can work the the same document and previous versions can be restored should something go wrong. 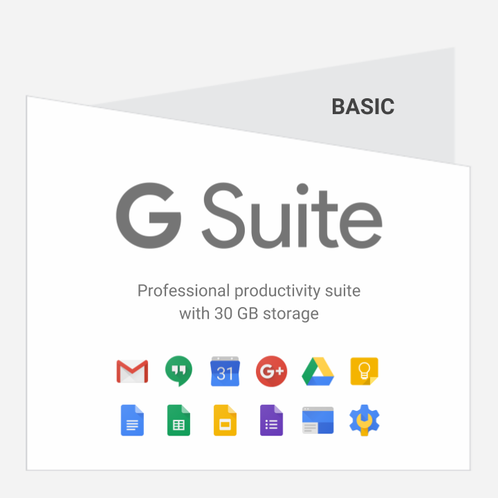 G suite Business and Enterprise subscriptions enjoy the benefit of unlimited storage. G Suite for business also provides access to great marketplace of apps that provide excellent integration with other apps such as Smartsheets, Trello, and many many more making G Suite for work an even more powerful business tool. It’s the best cloud email hosting provider for enterprise email and scheduling. I’ll buy it because Wroffy is providing G Suite Google Apps for Business at best price in India. My team can access all the minimum requirements, including: Sending emails! Storing files on G Drive and much more. Yes literally everything that I ask G Suite to do. I run a small company in Mumbai and i found Wroffy Technologies the best email hosting provider for business and G Suite partner in Mumbai. G Suite has transformed the way we operate dad to day. I cannot thank Google enough for Gsuite! G Suite for business has transformed the way we operate day to day. I am thankful to Google for providing the best email hosting solution G Suite. This amazing saas service has given us the ability to move into the future with the way we operate and think. G Suite Google apps for work email hosting has made managing our daily presence on the web fun! The admin Console is one of the easiest to use administrative tools that I have ever used. Navigating around is easy and make any user feel like a pro almost instantly. Wroffy is the best google g suite partner in Noida reselling g suite business email at best price with implementation and free support. Our old G Suite reseller was not providing us support so we recently transferred from previous G Suite reseller to Wroffy Technologies. Team at Wroffy is really professional and have experience in G Suite, they help us every time without at delay. We were directly purchasing G Suite from Google but one friend suggested to buy from G Suite Resellers and shared url of Wroffy ! They provided us with the best discount. G Suite is really a great business tool with all required features which we are looking for. Although its little costlier than Office 365 business essential but G Suite UI is really familiar. I have used Zimbra, Office 365 and G suite, and ill recommend you to buy G Suite over others. We recently migrated our email from Zoho Workplace to G Suite Basic ! G Suite is really an best business mail hosting services ! Also G Suite Partner Wroffy helped us with the billing and free migration from Zoho Workplace.